Vichy Catalan Spanish Sparkling mineral water is synonymous with good health, encapsulating the essence of Spanish culture Aqua Amore are proud to offer Vichy Catalan, Spain’s most famous water. Vichy Catalan was established in 1881. It is a Naturally Sparkling water with a high mineral content and a distinctive taste. This premium water emerges from the ground at 60 degrees Celsius, which gives it a unique personality. 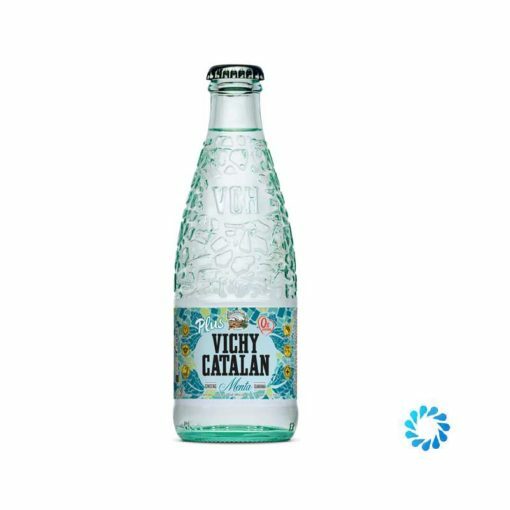 Vichy Catalan Menta Plus is a mint flavoured water with added Ginseng and Guarana.